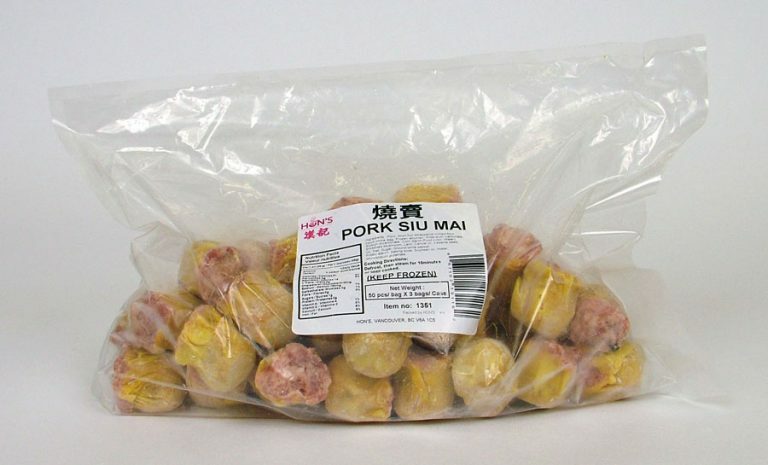 HONS > Products > Food Service > Dim Sum - Food Service > Pork Siu Mai – 50 pcs. Pork Siu Mai – 50 pcs. Pork, win-tun wrapper (enriched flour, liquid whole egg, frozen albumen, potassium carbonate, sodium bicarbonate, corn starch, food colour, water), shredded mushrooms, lard, canola oil, sesame seeds, oil, salt, sugar, ground white pepper, potato starch, baking soda, soybean oil, water, monosodium glutamate.